En finsk direktør bak spillsuksessen Angry Birds vil lage verdens lengste togtunnel mellom Finland og Estland. Det kan avgjøre hvorvidt det blir bygget en arktisk jernbane i Norge – på enden av Kinas nye silkevei. Finest Bay Area Development Oy, led by Peter Vesterbacka, has secured its first outside investor: ARJ Holding LLC will be financing the seed stage of funding for the Helsinki-Tallinn tunnel project in the amount of 100 million euros. The financing will be deployed towards achieving the planning and the licensing phases of the project. Dubai-based ARJ Holding is a family-owned company, specializing in water, energy and infrastructure technologies and has accomplished a number of significant construction projects in 18 different countries. 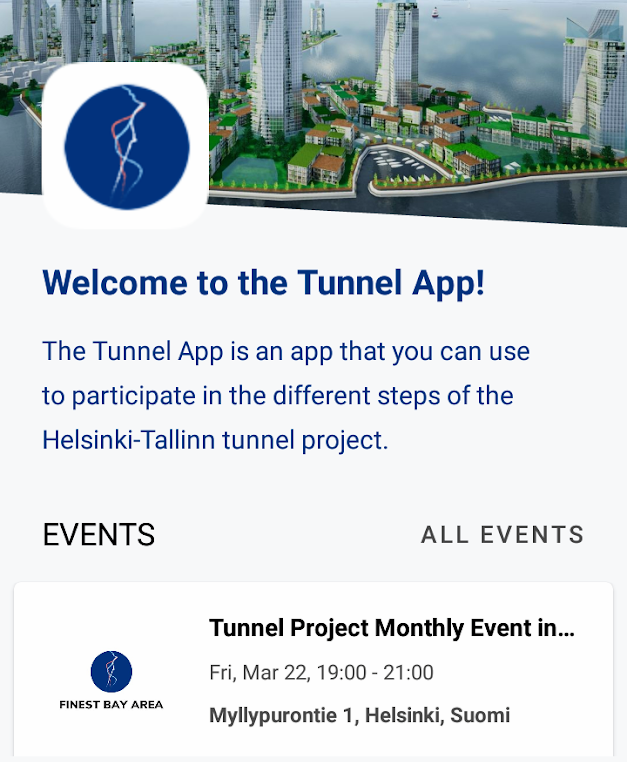 Until this agreement between Finest Bay Area Development Oy and ARJ Holding LLC, Helsinki-Tallinn tunnel has been a bootstrapped startup project, run without external financing. “Our success has been in building relationships with all our clients and associates and working for mutual benefit in the most ethical and transparent manner. We are now a dominant player across GCC and aspire to explore new horizons in the coming years”, ARJ Holding CEO Shahab Juma commented. In addition to financing, the tunnel project has also swiftly progressed in the areas of relevant permits and licenses, as well as in the matter of environmental concerns. The tunnel project is in fact already included in the proposal for the Regional Land Use Plan of Uudenmaa province. Water building permit application has already been submitted in Estonia and the Environmental Impact Assessment will be disclosed to the Finnish authorities on January the 2nd, 2019. “The arrival of the first outside investor is a significant milestone in the entire project. This has signaled the high level of interest and attractiveness of this region beyond Finland and Estonia. The greater Helsinki – Tallinn metropolitan area will be one of the fastest growing urban areas in all of Europe”, said Peter Vesterbacka of Finest Bay Area Development. When finished, the tunnel will enable a unique avenue of growth and increased prosperity between two metropolitan city areas, with no existing, comparable parallel in the world. “This, in combination with its superior geographic location in the heart of Eurasia, will in the future attract firms and specialists globally”, stated Peter Vesterbacka. The tunnel project will also make a significant contribution to the Finnish economic growth. The tunnel project represents around 7% of the current Finnish GDP and is forecast to make a very sizeable growth input in the coming years. According to the best-case estimates, the tunnel may even double the Finnish economic growth rate.